Fever Flu Symptom Drops 2 oz. 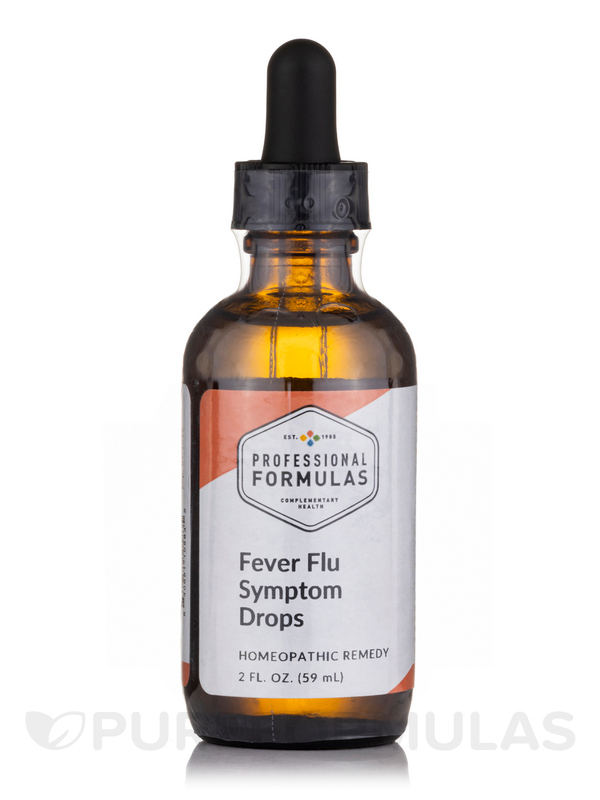 Fever Flu Symptom Drops is a product of Professional Formulas that's formulated to possibly help individuals who are experiencing fever‚ body pain‚ and other flu symptoms. 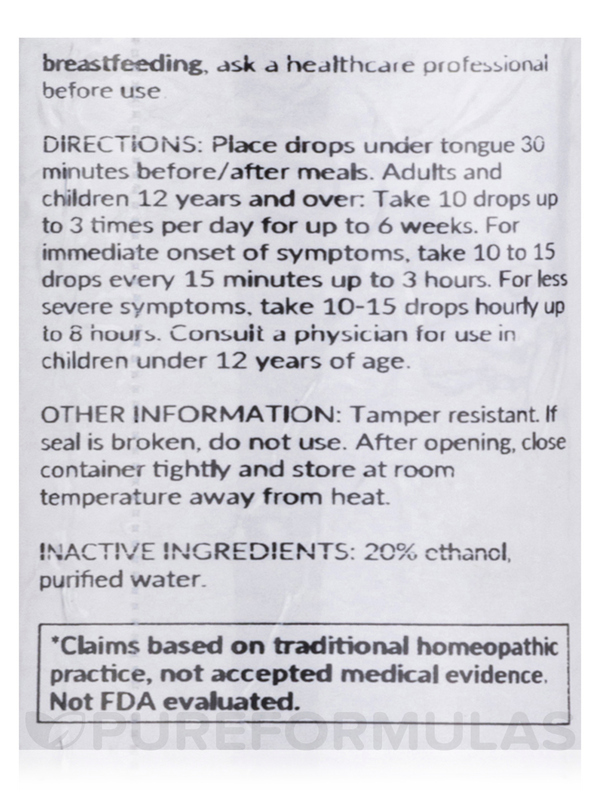 Fever Flu Symptoms Drops contains homeopathic ingredients that may possibly help relieve the symptoms of flu. It contains slippery elm‚ which is believed to help relieve dry cough and minor pain‚ the two common symptoms of the flu. This product is gluten-free and hypoallergenic‚ making it the ideal choice for those who are prone to allergies. It's made of natural ingredients that have been used for thousands of years to help improve health. One of them is the boneset plant‚ which is believed to relieve fever‚ colds‚ and prevent inflammation. Hyssop‚ another ingredient‚ may also possibly minimize cough and reduce infection. Eyebright: May possibly improve inflamed nasal mucous membranes and sinusitis. Slippery Elm: Might be able to assist in relieving dry cough and minor pain. Boneset: Is believed to have anti-inflammatory effects and may help relieve cold symptoms. Hyssop: Might be able to relieve cough and function as an antiseptic. Adrenalinum: May possibly assist in providing relief from bronchial asthma‚ open-angle glaucoma‚ and acute allergic disorders. Euphrasia officinalis 2X‚ Ulmus fulva 2X‚ Pulsatilla 2X‚ 6X‚ 12X‚ Dulcamara 3X‚ Ferrum phosphoricum 4X‚ Ruta graveolens 4X‚ Adrenalinum 6X‚ Bryonia 6X‚ Eupatorium perfoliatum 6X‚ Hyssopus officinalis 6X‚ Thuja occidentalis 6X‚ Aconitum napellus 6X‚ 8X‚ 12X‚ Belladonna 8X‚ Camphora 12X‚ Influenzinum 12X‚ Rhus toxicodendron 12X‚ 20% alcohol‚ purified water. 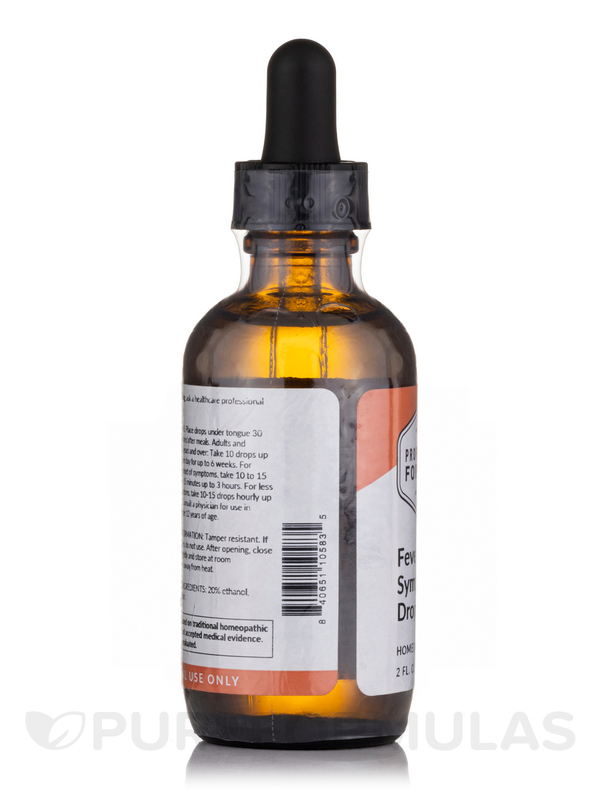 This Fever Flu Symptom Drops by Professional Formulas is very important for the flu season. It has helped the family get over the flu. 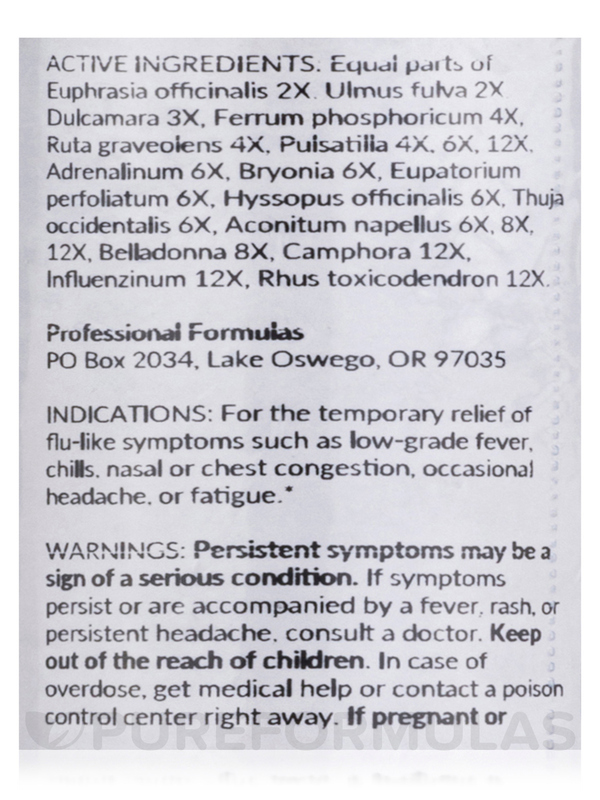 Our family has been using Fever Flu Symptom Drops by Professional Formulas for 30 years! Used them on our girls growing up & if you start taking them at the hint of a cold or flu, & take them every 10-15 min's at the start of a sore throat, they will take everything away. Our girls did not miss a day of school in all their 16 years of schooling because of these drops! I recommend them higher than anything else we've ever tried!